Heather Segale she is education director for UCD at the science center in Incline. The $2,000 is to support the Science Expo (March 18-22) for 3rd, 4th and 5th graders sponsored by UCD. Shredding day, thanks for all who showed up the second day to make this happen. 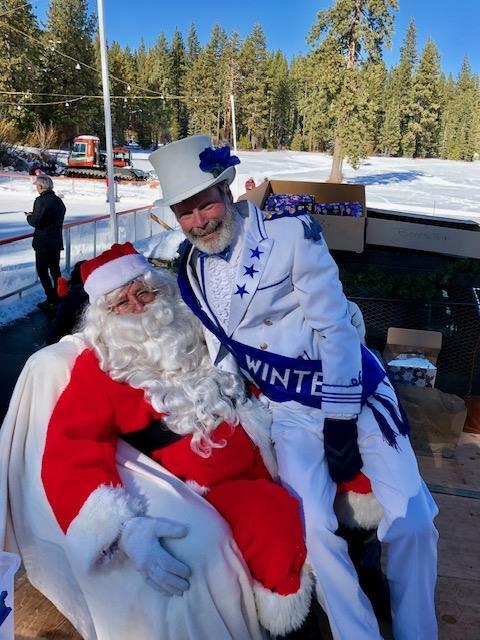 What a beautiful day we gave out hundreds of gifts kids got to sled and ice skate for free and clear blue sky's thanks to all Rotarians for pitching in and making that so much fun. 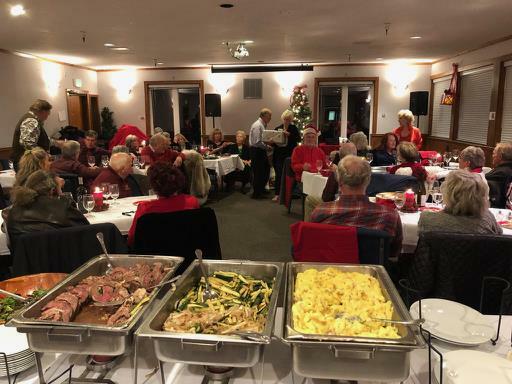 Thanks Karen and Steve for making such a wonderful evening everyone had a great time. 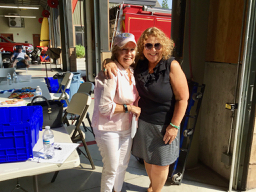 Karen's team at the REGL CAMP September 14 to the 16th. Per Karen their teamwork was incredible! Although she was exhausted at the end of the 3 day camp, it was wonderful to work with this team of eight graders. The crew taking a well-deserved rest after riding to Loyalton for the lamb feed. 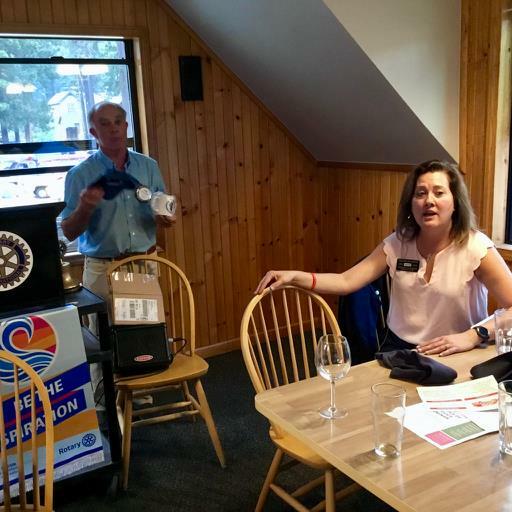 District Governor Tina Spencer-Mulhern gave a great talk about Rotary. Our own Karen Rasmussen receives the Most Valuable Player award. 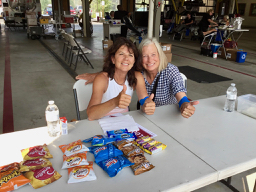 Thanks to all that helped with the Blood Drive and of course a big that you to Lud for putting it together. 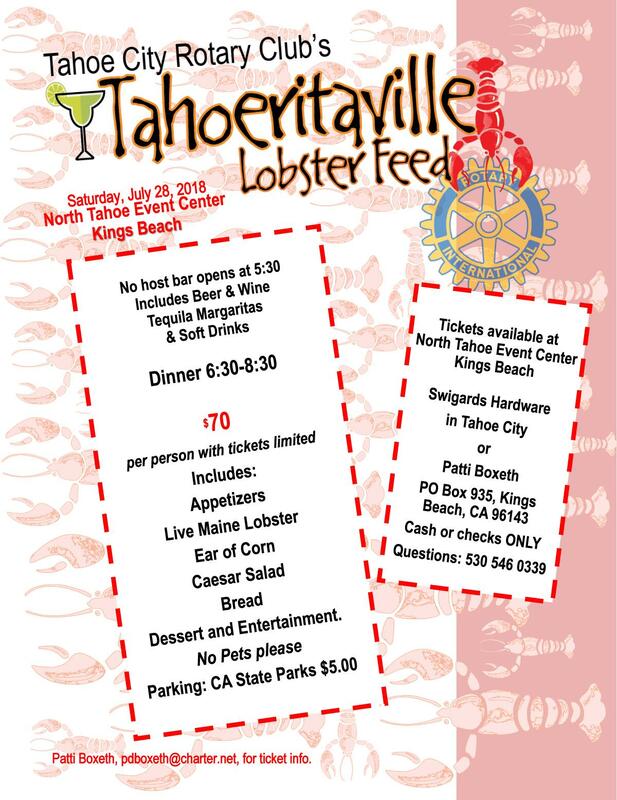 To get your tickets to the Lobster Dinner (Tahoeritaville) send a check to Patti Boxeth @ POB 935,Kings Beach, Ca. 96143 or Swigards Tru Value Hardware or the North Lake Tahoe Events Center. Remember we will be meeting at Whitecaps Pizza this summer. Robert Nordby, Chelsea Austin, Bailey Shaw, Ashlyn McPherson, Claire Roberts, and Anaka Hudson. 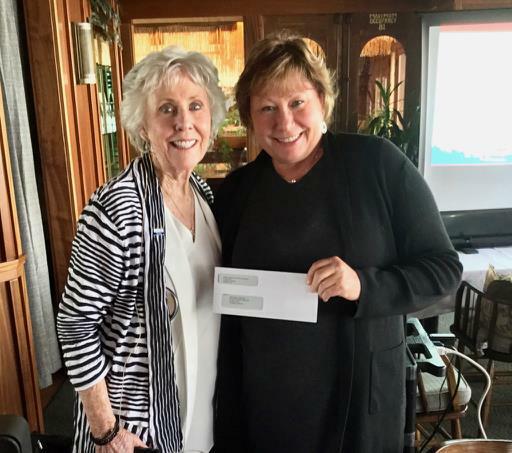 Sarah Dearborn, Director of Sierra Senior Services, receiving a Grant for $5,000. This was at our meeting on May 1st. 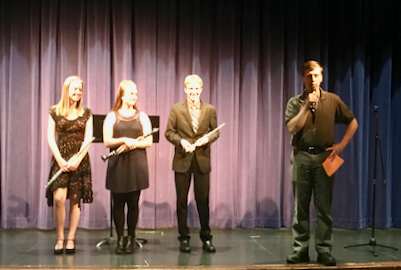 The Rotary Club of Tahoe City sponsored a Speech and Music Contest at North Tahoe High School on March 27th. 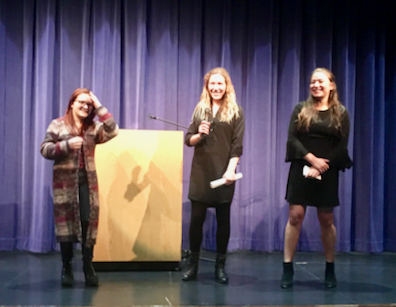 The three Speech Contestants were, left to right, Roxanne Hankinson, Myla Kahn and Alex Schwartz. All did an excellent job. Roxanne took third place, Myla took second place, and Alex took first place. The Music Contestants, from left to right were Claire Roberts, Bailey Shaw, and Riley Hacker. They all gave wonderful performances. Claire took third place, Bailey placed second and Riley placed first. The first and second place Contestants will be competing at the Rotary area competition on April 19th. Dean Nordby also pictured is the Music Teacher at the High School. 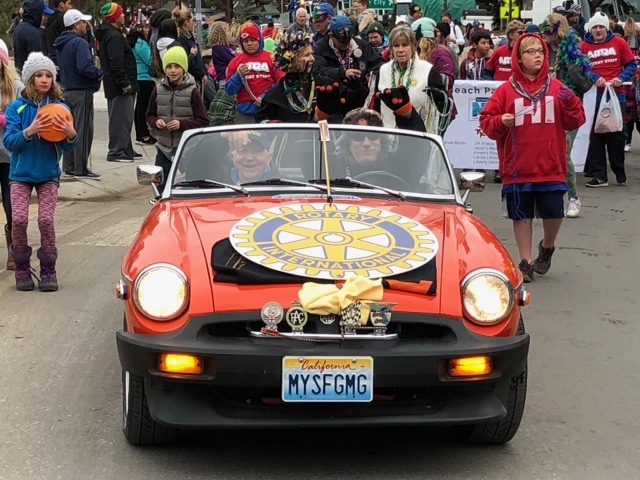 I just want to thank all of you for taking time our of your Saturday to represent TC Rotary in the Parade. A special thanks to Gary and Clydine for not only showing up but for bringing our beautiful Float! Dave, thanks for picking me up and pulling the Float. 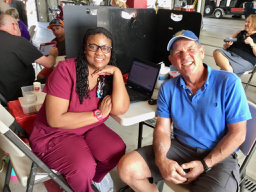 Don, a thank you for risking your life in the Float. 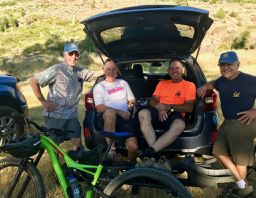 Dean for taking time out of your already busy schedule to join us. Thanks to Steve, Aaron, and Debra for walking the distance for Rotary. And as always, thank you Lud for always being there when we need you. 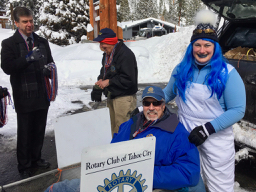 Last but not least, thank you Jim for braving the journey to Tahoe City to represent our Rotary and "Old Man Winter" for Snowfest! You are one terrific group of people! 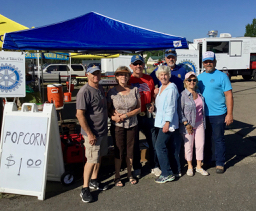 A big thank you to all of you for coming out and working the Kings Beach parade, volunteering is what Rotary is all about. The Area Speech and Music Contest is April 19th so Dean has scheduled the local contest on Tuesday, March 27th from 3:00-5:00. 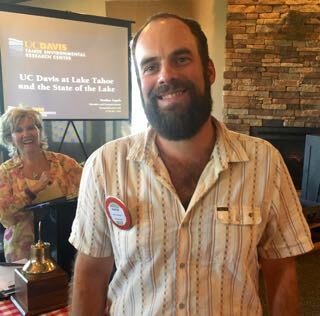 The Speech contest would be from 3:00 to 3:45 and Music from 4:00-4:45 at North Tahoe High School. Patti and Karen thought we should all go to dinner following the contest. Restaurant to be determined. 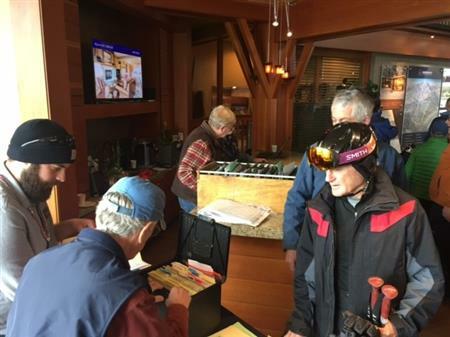 Unfortunately the 2018 Rotary Ski Challenge Race Has been Cancelled due to lack of snow. 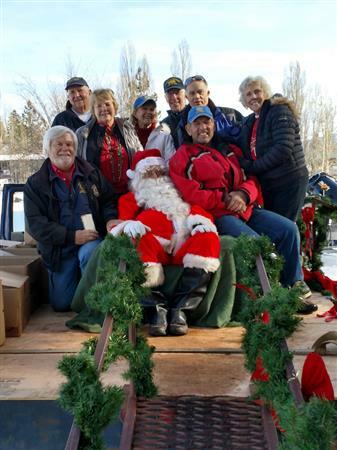 Santa's Sledding Party, held on Dec. 9, was a huge community service success. 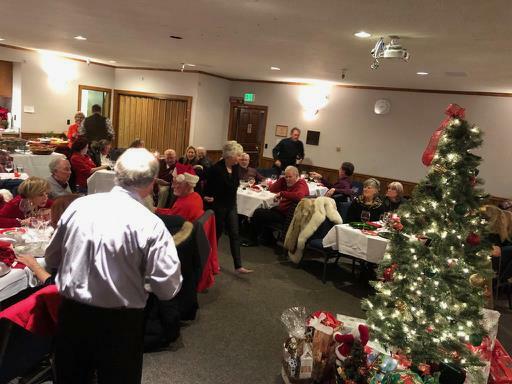 Rotary fed approximately 300-400 people a free breakfast of sausage and pancakes and Santa handed out over 300 gifts to children. The TCPUD provided free ice skating, as there was no snow for sledding. 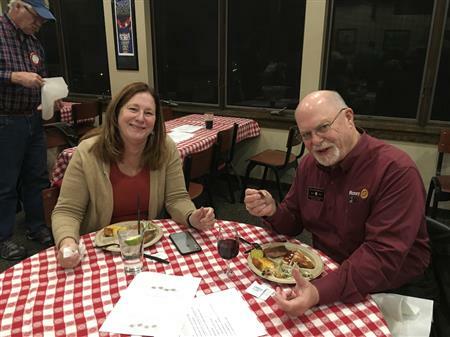 Doug McDonald, the Governor of Rotary District 5190, and his lovely wife Karen, visited out Club on November. 7. 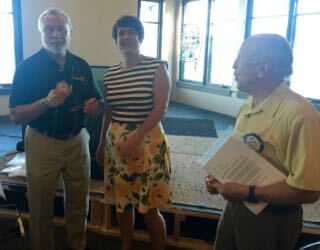 They met with the Rotary Board and then joined us at our regular meeting. 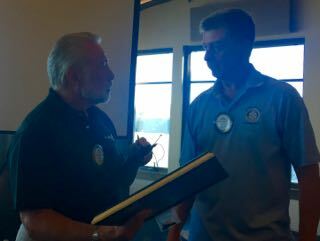 The Governor had many helpful suggestions to help us grow our Club. He also gave a relevant and uplifting speech to all of our members. 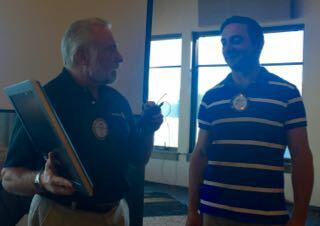 Governor McDonald then presented Rotarian, Jim Fleming, with what he termed as the Quiet Rotarian Award. 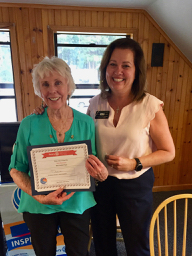 This award is given to Rotarians who are always available to help with Community Service Projects or whatever the Club requires without necessarily being recognized for all of his contributions. 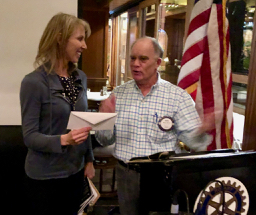 During our October 3rd Sal Sbranti and Gordon Gravelle joined our dinner meeting and presented their very successful Empowerment Project. This project focuses on empowering young women, beginning in 8th grade and goes through high school. The program introduces young girls to professional women in multiple industries to show them that their is no limit to their potential. 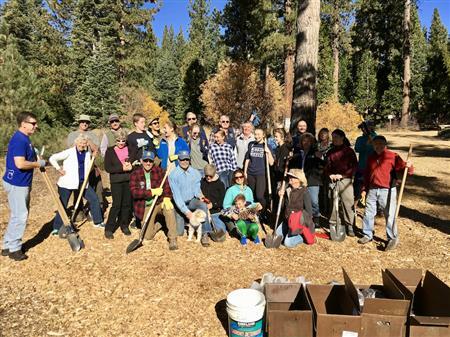 Tahoe City Rotary Plants Sugar Pines! 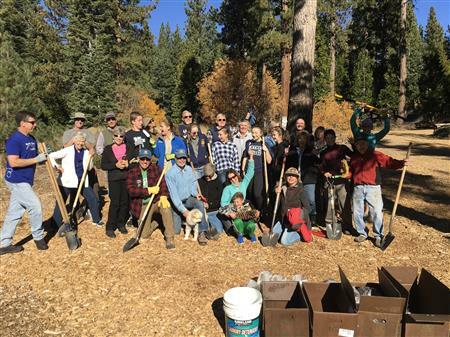 Tahoe City Rotary members along with local community members plant sugar pine trees at Granlabakken on October 29th! Sugar Pine seedlings at Granlibkken, Oct. 29. Rotarians both hard at work and having fun planting Sugar pine seedlings. 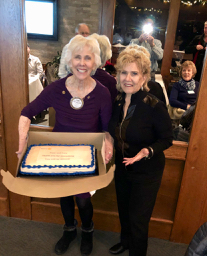 Thanks to everyone for being at our October 3rd meeting and celebrating Micky's 80th birthday! 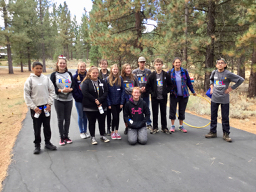 Rotary Eighth Grade Leadership (REGL) Camp was the weekend of September 15 thru September 17 and the second session is September 22 thru the 24th. 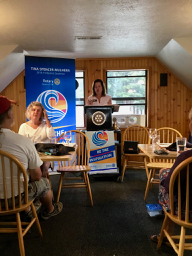 Tahoe City Rotary's President attended the first session. She claimed it was the most fun she had experienced in years. Below you can see some of the pictures taken at this wonderful camp. 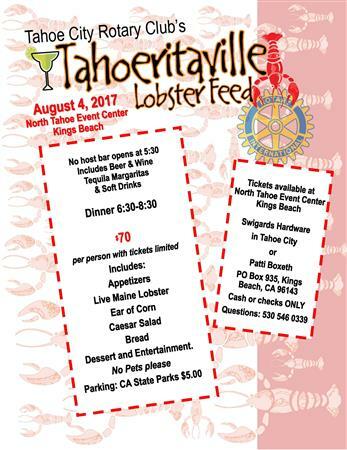 Come one come all to the 2017 Tahoeritaville Lobster Feed on August 4th from 5:30-8:30! 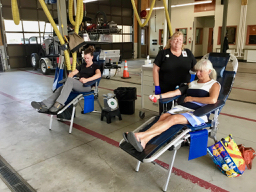 All funds raised go to support your community. Only a limited number of tickets will be sold so don't wait until it's too late! Guarantee you'll have a great time. 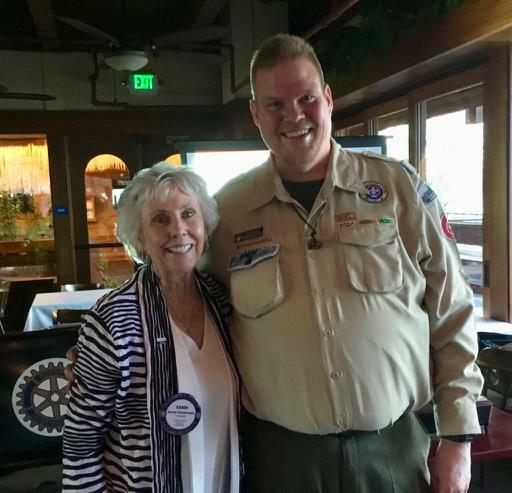 Tom Doyle and Laurie Mattioli attended the District Leadership Assembly joined by the President, Patti Boxeth on the left and President Elect, Karen Rasmussen on the right this past Saturday, April 1st at the Atlantis in Reno, NV. 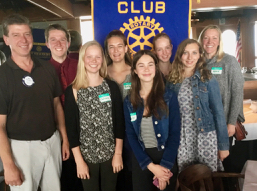 Congratulations to all the 2017 Tahoe City Rotary Speech and Music Competition participants! All of these up and coming young adults did a great job! Here are the results. In the speech contest: 3rd Place - Xochitl Perez, 2nd Place - Bailey Shaw, and 1st Place Alexandra Schwartz. In the music contest: 3rd Place - Riley Hacker, 2nd Place - Colton Nordby, and 1st Place Tobin Johnson. 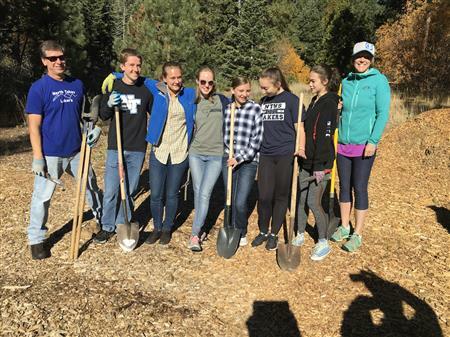 The 1st and 2nd place winners have moved onto the regional competition on April 18th at Truckee High School to compete against the winners from Truckee and Incline Village. We wish those students the best of luck in the next round! Don't miss out on this special evening. 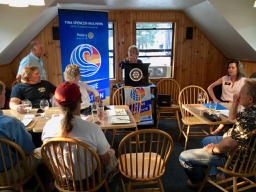 The Tahoe City Rotary welcomes this years Speech and Music contest this upcoming Tuesday during our regularly scheduled meeting on March 21st. We would love to have a packed house so please sent invites to guests. Performers will begin at 6pm. 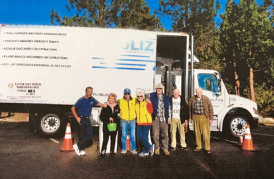 First and Second place will take home cash prizes and will move onto the area contest that will take place on April 18th at Truckee High School starting at 4pm. 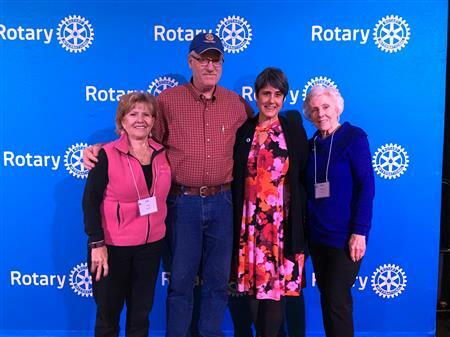 Winners will also compete in the Rotary contest at out District Conference in May. Please come to support these young adults that have worked so hard to make it this far! 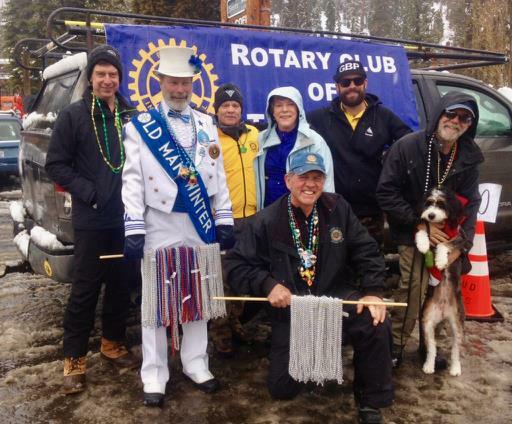 Tahoe City Rotary members representing the club at the Kings Beach SnowFest parade on Saturday, March 11th. 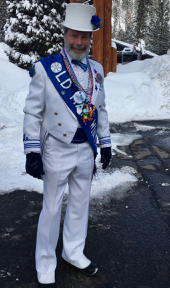 Don't miss out on all the fun this Saturday at the 2017 Kings Beach SnowFest parade! 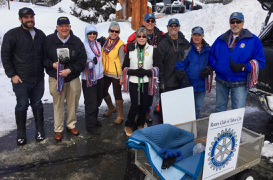 Look for the Tahoe City Rotary Club float! The parade starts at 11:30am. See you there! 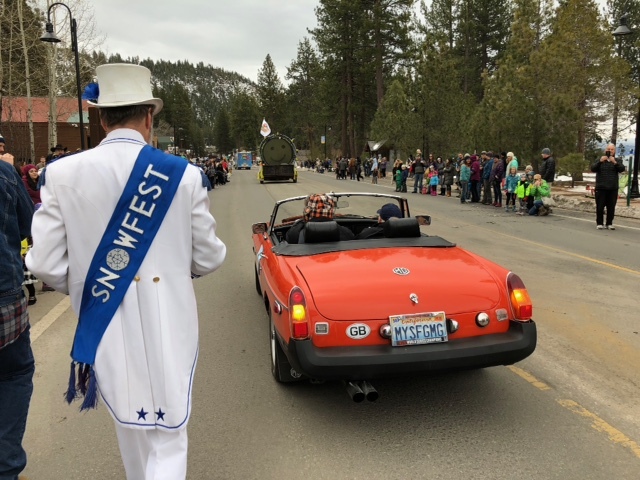 Check out this cute couple at this years Tahoe City SnowFest parade. Looking good Gary and Clydine! 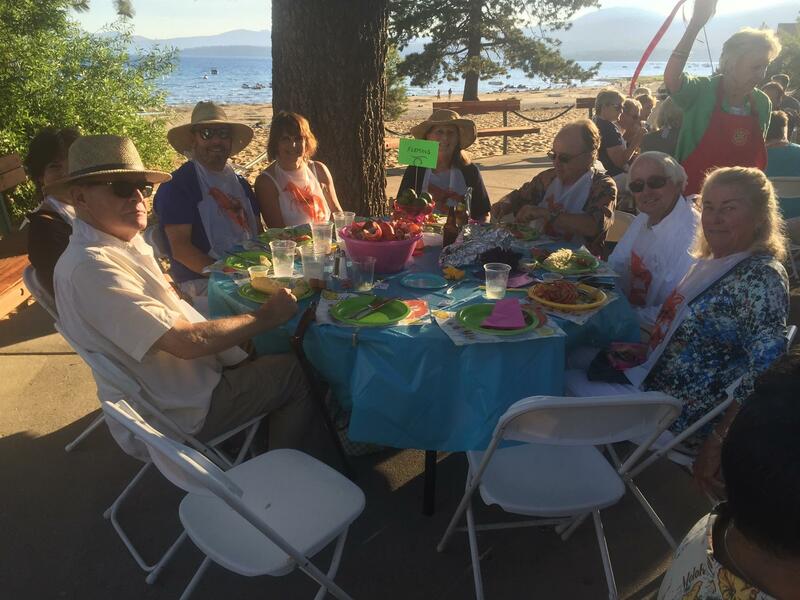 Lobster dinner was great and everyone had a wonderful time.